Electrical Engineering is a field of engineering that generally deals with the study and application of electricity, electronics, and electromagnetism. This field first became an identifiable occupation in the latter half of the 19th century after commercialization of the electric telegraph, the telephone, and electric power distribution and use. 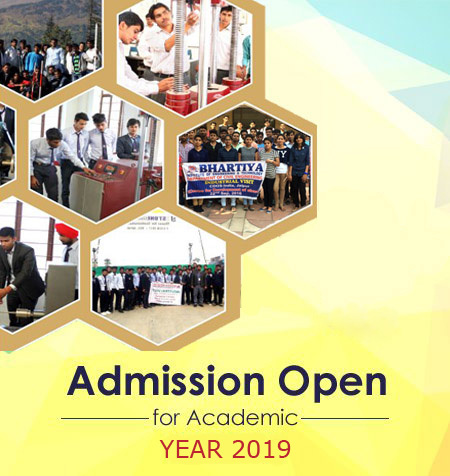 The department of Electrical Engineering at Bhartiya Institute of Engineering & Technology, Sikar offers a vibrant environment for undergraduate education in Electrical Engineering Established in 2008. The department is committed to development of knowledge in Electrical Engineering and to provide the students with an inspiring and rewarding learning experience. The faculty of the department contributes to revolutionary research in wide areas of Electrical Engineering. In addition, they are also actively engaged in publishing textbooks, continuing education. The department attracts talented students from all over India to its undergraduate degree programs. The graduates of the department find rewarding placement in many global companies in India and abroad. In addition, electrical graduates have many more opportunities in government sectors.